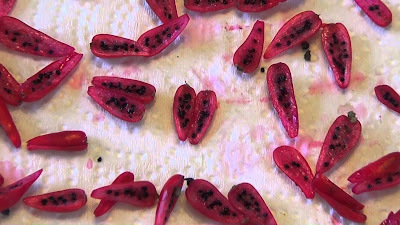 The majority of species and cultivars can be propagated from cuttings or offsets, however all can be easily grown from seed. Just be aware that selected cultivars and hybrids will not grow true to the parent plants. 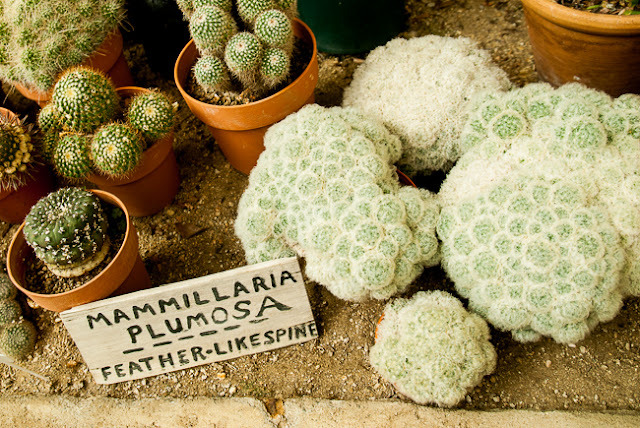 All Mammillaria seeds are small; in fact they will seldom exceed 1 m in diameter or length. So to make sowing easier use a toothpick with the tip moistened to lift each seed and set it in place on the compost. For very fine seed mix well in with some fine, dry, silver sand, and sow the seed/sand mix across the surface of the compost. 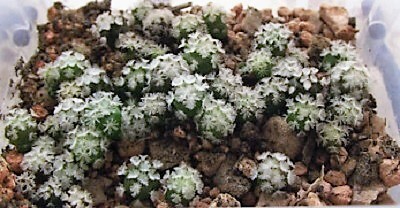 Using a good quality cactus compost, fill suitable pots, pan or a modular seed tray to 1-2 cm from the top of the pot. If proprietary composts are not available then you can consider creating your own mix using 1 part of loam based compost (John Innes No 3), 1 part washed, sharp sand and 1 part of fine vermiculite. Mix thoroughly and then put through a 5mm sieve. Good quality proprietary composts should all have been heat treated prior to packing to ensure the product is sterile. If you are keen to maintain sterile condition, and even then only using only plastic products, place the filled pots into a tray and carefully add boiling hot water to the compost until the water reaches to just below the rim of the pots. Leave to stand until the compost in the pot has become soaked through. Avoid boiling plastic pots as they can become misshapen, instead clean with a bleach solution before rinsing thoroughly. Previously used terracotta pots can be boiled, but only by starting off in cool to warm water before heating up. Adding terracotta pots directly in to boiling water can cause them to crack. Once cooled, the seeds can be sown sparsely onto the surface of the compost and then pressed into the surface. Do not bury the seed. Add a thin layer of vermiculite to the surface of the compost to help prevent the seeds from moving when watered. Water gently in and continue to keep the water moist throughout the germination process. Never allow the compost to become waterlogged. Tap water is preferable to rainwater. Move the pots or trays to a heated propagator and maintain a temperature of between 75 and 85 degrees Fahrenheit. With fresh seed you can expect a germination rate of between 40-50% with the first seedlings emerging after 5-7 days, and then with the rest appearing after 4 weeks. Older seeds will have a lower rate of germination and can take up to a month before they start to emerge. 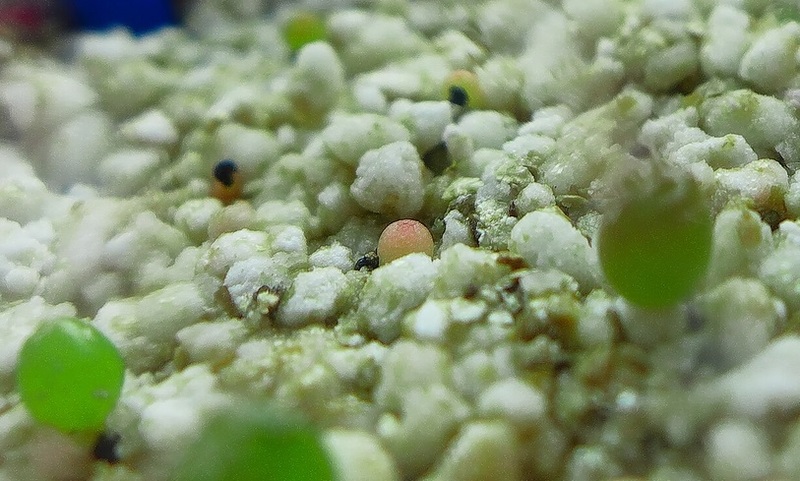 Unlit they are about 3mm wide the seedlings will be just featureless green globules, but after after a month the first signs of spines will appear at the top. pricking out should not be attempted until at least a year has passed. By thus time the seedlings will be robust enough to withstand handling without too much risk of root damage. When replanting take care to ensure that the soil level is not higher than it was in its original container.